We now provide a high-resolution Del/Dup assay to overcome the diagnostic limitations of other known methods. We utilize the OS-Seq based high-coverage NGS data to detect deletions and duplications. The resolution of the assay has been improved recently and it has a detection limit of one to four exons for Del/Dups in the same genes that are covered by sequencing panels. Deletions and duplications ranging from changes involving a single exon to multiple genes are an important group of disease-causing mutations across all medical specialties. Mutation data from well-characterized autosomal dominant disease genes BRCA1 and LDLR suggest that up to 10% of mutations are deletions in disorders where loss-of-function is the mutation mechanism. In some disorders, the proportion of pathogenic mutations attributed to deletions or duplications may be substantially higher. For example, in type 1A Charcot-Marie-Tooth disease, most patients have a whole-gene duplication of PMP22. Given the importance of deletions and duplications in genetic disorders, it is therefore important to detect them with a high-resolution assay that covers all clinically relevant genes. 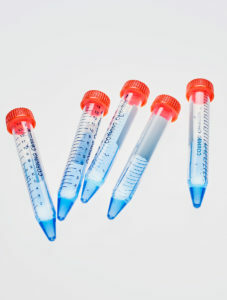 Methods such as microarrays and MLPA have been traditionally used for deletion and duplication detection. However, conventional microarrays are insensitive for detecting changes smaller than 50 kilobases and MLPA covers usually only small number of genes in the assay. Blueprint Genetics provides a high-resolution Del/Dup assay to overcome these diagnostic limitations. Blueprint Genetics Del/Dup Analysis Panels utilize the OS-seq based high-coverage NGS data to detect deletions and duplications. The resolution of the assay has been improved recently and it has a detection limit of one to four exons for Del/Dups in the same genes that are covered by sequencing panels. The resolution varies throughout the genome depending on exon size, sequencing coverage and sequence content. Del/Dup analysis is offered both as an independent product and in combination with Sequence Analysis Panels.